Ryanair beats most to the punch with an announcement that the Irish airline will be offering child-free flights beginning in October. “When it comes to children we all love our own but would clearly prefer to avoid other people’s little monsters when travelling. While half our passengers would like us to divide our cabins up into ‘adult’ and ‘family’ areas it is not operationally possible due to our free seating policy, with optional priority boarding”, said Head of Communications Stephen McNamara. TechCrunch reports that the internal war at Google continues, as Google Places is officially filed under “spam”, and removed from Google search. Accusations about content farm coddling have troubled Google of late, which were in no way alleviated by TMZ capturing shots of Google Chief Revenue Officer Nikesh Arora on Demand CEO Richard Rosenblatt’s yacht, Adsense. Even Marissa Mayer jumped in the war of words, “Screw the webspam team”, and “It’s not like people are going to start using Bing”. Kids clothes and toys swap site thredUP will now be catering to dads with the launch of a paternity clothing swap. Previously the site had been focused exclusively on moms and kids, but is not moving into the Dads market. In a move sure to irk at least two or three people who work for The New York Times, The Huffington Post has erected a paywall that applies only to NYT employees. Following on its memorable April 1st pranks like, oh Rick Rolling its entire user base, YouTube will be reverting its videos back to what they would have looked like around 1911, complete with grainy, sepia video footage, no audio tracks (save for piano accompaniment), and title cards in place of the site’s normal comments. Software developer Joel Spolsky rants about everything from software to … other kinds of software … on his blog, Joel On Software. This hilarious parody site, Joel On Coal, was created for April Fool’s Day. Take that, Joel. Google begins its April Fools celebration with this job posting for an “autocompleter”. “Every day people start typing more than a billion searches on Google and expect Google to predict what they are looking for. In order to do this at scale, we need your help … As a Google Autocompleter, you’ll be expected to successfully guess a user’s intention as he or she starts typing instantly. In a fraction of a second, you’ll need to type in your prediction that will be added to the list of suggestions given by Google. Don’t worry, after a few million predictions you’ll grow the required reflexes.” Sounds easy enough. Google introduces Gmail Motion, which allows you to control Gmail with your body. Finally. The uncertainty over April Fools Day’s intellectual trademark led Groupon to purchase the rights to everybody’s favorite joke day. You can read Groupon’s patent application here. Groupon has also issued cease and desist letters to all the major violators of its trademark, including TechCrunch. Watch out, you could be next. 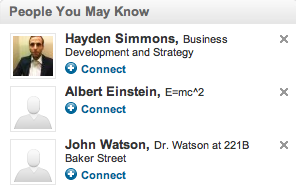 LinkedIn’s “People You May Know” contact recommendation engine has gotten a little cheeky on this Fools’ Day of April. LinkedIn has begun recommending people that clearly wouldn’t want to become my professional contacts. Though, Albert, if you’re reading this, feel free to peruse my resume. Some great examples of relativity. uTest, a marketplace for software testing services, announced today that they will be launching a dating site, QAdate, for software testers. Even software testers gotta find love, man. Software pimpin’ ain’t easy. This just in from Google AdWords: It seems that many newcomers to display advertising feel that they missed out on the glory days of advertising in the 2000s. So, Google is offering an opportunity to make up for lost time with old school ads in Display Ad Builder. Options include: “Punch the Monkey”, “Click here for smileys”, “LOLcat”, “Dancing .gif”, “Pop ups galore”, and “Scratch off”. Good one, AdNerds. Music distribution platform SoundCloud today announced it will be adding a righteous new feature that will allow you to customize your profile with some amazing background animations. Because, you see, it’s all about self-expression. 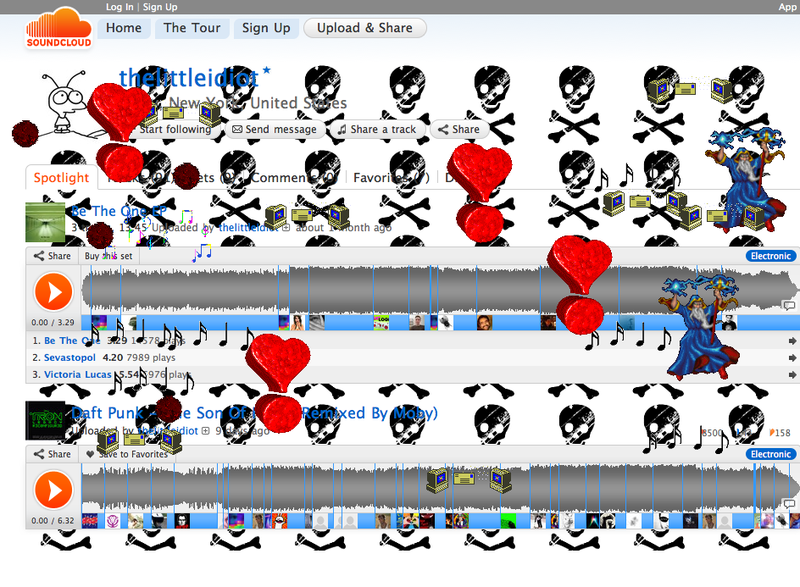 You have to express yourself, and there’s no better way to do that than with SoundCloud’s killer new background customization features. Just try not to have a seizure. Hulu seems to have taken a page from YouTube’s April Fools Day Manual, bringing us back in time to when video killed the radio star — except in Hulu’s case we are transported to a time when modems were dial-up, hyperlinks were underlined, and images were grainy. I believe they called it “the mid-to-late nineties”. Whenever that was. All I remember is the bursting of some sort of bubble. Memory goes blank after that. 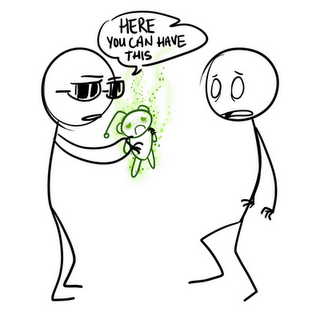 The great XKCD webcomic is trying to give us a headache, and I think it’s working. Last year it was Bieber or Die, when the Thing They Call Bieber decided to buy the site and use it as he pleased. This year, Funny or Die has spawned a Rebecca Black version, which is all Rebecca, all the time. Includes such hits as “Betwixt the Music: Rebecca Black”, “The Top 7 Days We So Excited For”, and “Which Seat Should I Take? W/ Rebecca Black”. Toshiba, always at the forefront of gadgetry innovation, has announced the world’s first 3D monacle, for all you Monopoly guy-loving robots out there. “Infusing advanced 3D technology into such a small device wasn’t easy. Two triangular polarizing lenses were melded in parallel and encased in black-plated tungsten carbide for a lightweight and durable construction. For comfort, the casing was molded into the shape of an average human eye hole, and draped in bonded leather.” Bonded leather?!? Alright! Newslite is breaking the news that Facebook will soon be rolling out wedding and baby filters, so that users can turn off the incessant chatter of their friends droning on endlessly about upcoming weddings as well as births and all baby-related content. The social network also expects to soon begin preventing all individuals from uploading pictures of their children to use as their profile images. With these updates rolling out, Facebook expects to hit the 1 billion user mark within weeks. Are you a fan of web-safe, browser-compatible fonts? Then whatever you do, don’t type “helvetica” into Google search. No, just kidding. You should do it. See what happens. We dare you. It’s comical. Sans comical. And now, if you’re feeling cheeky, you can add this Chrome widget that will allow you to see all of your favorite web destinations in everybody’s favorite font. Qualcomm recently announced its next mobile processor architecture for the Snapdragon family, Krait. (Snapdragon is Qualcomm’s platform for smartphones, tablets, and smartbooks.) And Qualcomm today announced that it will be sending its employees on a “Way of The Dragon Retreat”. Then there’s something involving Kimodo dragons, it’s hard to say really. Bruce Lee? I’ll let the video explain. Gadget developer Thumbs Up has a fantastic new product that it will be rolling out worldwide this fall — an iPhone controllable wifi Eagle powered by the Sun. Can you believe it? Simply download the free app and transform your machine into an all seeing remote control roving eye. 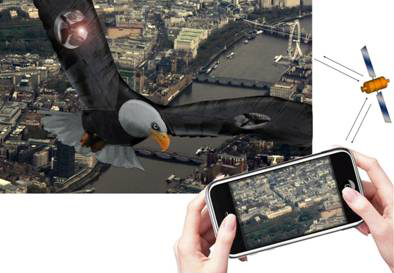 The “RC Eagle i” will be fully compatible with national wifi networks so you can control your precarious bird of prey from hundreds of miles away. How does it stay aloft? Well, the sun of course. What were you gonna say? A battery? Pssh. Americans must stand and salute as this majestic gadget passes overhead. Unfortunately, though, it’s only available in the U.K., but writing your congressman/woman could change that. FeeFighters and the band FooFighters have joined forces, and raised $41 million to fight the evil foes of the world. In a surprising twist of events, Vator News is reporting that angel investors Paul Graham and Dave McClure are teaming up to launch 25 Incubators, a training course for angel investors, a.k.a an incubator for incubators. Did you get that? They’ll be incubating the incubators. A different take on recently launched and well-backed Color, ShopSavvy has launched GreyScale, which allows people who spend most of their time alone to capture and have real-time access to monochromatic photos and videos of themselves — created by themselves, for themselves. While we know that Google is making a big push into social of late, it appears that the search giant’s Facebook-killer has just launched—Google Friendship. According to the landing page, Google Friendship allows users to “discover the new Social Network, Share updates, photos, videos, and more, and Start conversations about the things you find interesting”. Now that computational search engine Wolfram/Alpha is a little older, it’s time to shed the alpha and change its name and logo, hence—BieberBeta. Via a new Labs app called Body Browser, Google is now allowing you to access an interactive view of the insides of a body….of a cow. Hey, why not? 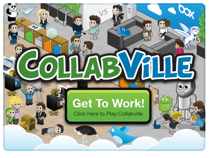 From Box.net, CollabVille is the latest in social gaming for the enterprise. CollabVille is a best-of-breed GaaS solution with baked-in, transformative, web2.0 collaboration tools. Hey, that sounds like something we’d cover. Another tchotchke to add to the Angry Birds family. Angry Birds Pork Rinds are on sale, courtesy of ThinkGeek. From the description, Angry Birds Pork Rinds are the ultimate in high protein snacking. Since the only other green meat we’ve encountered has been a breakfast meat paired with green eggs, we’re calling these “The Other Green Meat.” Much like green ham, you can eat Angry Birds Pork Rinds here or there. You can eat them anywhere. You can eat them with Red Leader. You can eat them from a bird feeder. You can eat them on a date. You can eat them on a Shirt Plate! Google is bringing Pig Latin to Voice Search! From the blog post: Our Pig Latin Voice Search is even more fun than our other languages, because when you speak in Pig Latin, our speech recognizer not only recognizes your piggy speech but also translates it automagically to normal English and does a Google search. In the group payments’ spoof on Punkd, WePay pranks an Indian outsourcing company that was spamming them with sales calls. The video is priceless. Sir Richard Branson has officially bought Pluto, for and undisclosed sum and reinstated it as a planet. In the release, Branson says “Virgin has expanded into many territories over the years, but we have never had our own planet before. This could pave the way for a new age in space tourism.” We were getting tired of only having 8 planets, thank you Branson. Yelp is taking its daily deals platform national today, with the debut of its first country-wide deal: Puppy Rentals. All the cuteness without the hassle of having a large dog on your hands later. Thankfully, Kodak has added the ability to remove our exes from our photos. The feature is aptly titled, “Relationshifffft”. Ha. God bless you, Kodak. I’d been using an eraser. And I had to push really hard. oDesk, a global marketplace where you can hire freelancers and contractors, announced today that it has taken intergalactic unemployment down to zero percent. An excerpt: “With the universe working in harmony, innovation is at an all-time high: Startups are cropping up across Jupiter and Saturn, overloading TechCrunch with pitches to cover their latest rounds of funding.” It’s true. Enough with ringtones startups, Saturn. You’ve got a huge ring. We get it. Software company 37signals announced today that it is officially relocating its entire staff to Chicago. This may be a difficult task, because most of the 37signals staff works remotely, but it’s a change that’s well worth it. The alternative just isn’t worth it: “Sure, we trust our employees. But we don’t know who else is in their house. What happens if there’s a messy divorce? Or some teen pranksters lurking around? We can’t risk it. Now everyone will get a dedicated work iMac instead of a laptop. This iMac will be chained down in our new office.” To ensure productivity going forward, 37signals has also instituted a dress code, “We have created an official 37signals uniform, with help from our friends across the street at Threadless. It is a unisex, one-piece, uniform that is functional and minimalist, just like our apps. We are confident our employees will love their new mandated attire”. 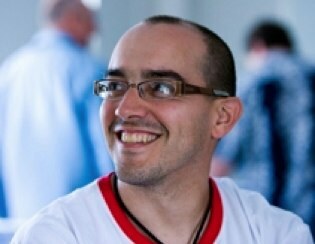 We can understand, TechCrunch has been considering similar initiatives. When a startup gets a big round of funding, it can not only ensure that its product gets to market or that it can take the necessary steps to scale — it can dramatically change the landscape. See Color. This is also the case for Pulse, Alphonso Labs’ news aggregator/reader, which today announced that it has raised a whopping $41 in funding. Pulse plans to use the funds to “reward the team with Subway’s five-dollar footlong sandwiches — the remaining capital will be saved in a cookie jar labeled ‘iPad 2.’” The round was apparently led by co-founder Akshay Kothari’s mother, who found the change between the cushions of a nearby sofa. Behind every great startup, there’s a great mother. That’s what we always say. Just as we suspected, Google today announced that it will be re-buying Blogger. Why would Google ever make such a risky, unprecedented move? Well, according to Blogger CEO Brett Wiltshire, “Google liked our logo. And we liked their food”. Can’t argue with that. Google has quite a few impressive bullet points on its resume, and now it can add another: teleportation. Google China, through its innovative new search capabilities, gives the user the ability to travel through time and space. Though we will say that Chrome might want to work on its translation capabilities. Oh, Reddit, always up to something. Last year for April Fools, Reddit made all their users admins for a day. This year, they dreamed up something a little different, a virus. Well, actually mold. If someone signs you up for Reddit Mold, you’ll get to experience a few cool features. First, every time another user gives you mold, you’ll see 10 fewer comments every time. What’s more, there’s no using the letter “E”, and with every mold gift, Reddit subtracts another letter. But don’t worry, you’ll always have “M”, “P”, and “H”, so you can yell “MMMPHHH!” at the top of your lungs to your until your heart’s content. 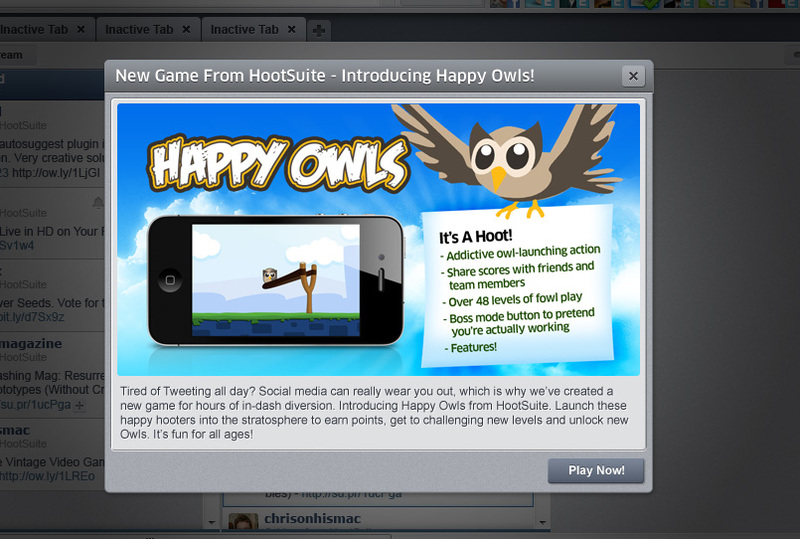 HootSuite has announced a major pivot today. The social media dashboard will be re-launching as a game called Happy Owls. We’re not exactly sure what it is, but we think it has to do with Twitter. Something about happy hooters. We’re not sure how much success this pivot will have, especially considering that, last we heard from The Onion, owls are assholes. Sporcle, a website and mobile app that provides quizzes and games, has launched a “Boss Button” that lets you hide Sporcle games when you’re at work. It replaces your Sporcle window with something more appropriate — we assume a picture of Bruce Springsteen. If you go to Google I/O’s page (Google’s Developer Conference), and click on the page’s logo, you’ll be in for a little retro surprise. TechCrunch reports that, as part of its effort to become more green (and to protect itself from outside threats), Google was stepping into nuclear power. Jason Kincaid reports that Zynga and Facebook have teamed up to light a fire under digital dating by bringing gaming into the mix. Facebook will be offering a section of the site dedicated to helping users meet potential romantic partner, which will be filled with games designed to “synthesize romance and foster relationships through social gaming mechanics”. No better way to get to know a potential mate than by using Farmville to break the ice. Google’s partnership with Virgin, Project Virgle, is one of the more clever April Fools day pranks in recent memory. Sergey, Larry, and Richard Branson announced plans to lead the human population in its colonization of Mars in an “Adventure of Many Lifetimes”. Check out the FAQ. Ah, the classic Spaghetti tree hoax of 1957, when the BBC ran a 3-minute short, which told the tale of a family in southern Switzerland harvesting spaghetti from the elusive spaghetti tree. If only spaghetti grew on trees. Or iPads. 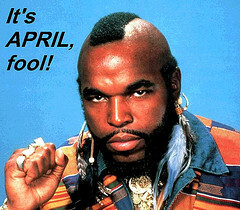 Note: To all the pranksters out there, we dare you to try to pull one over on us. We triple dog dare you. So far all the attempts have been pretty lame. We’ve just taken to passing them around the office, shaking our heads. Here’s a pro tip: if you want to fool us, don’t tell us it’s a joke in the first sentence, amirite?